PANAMA CITY — Bay County leaders approved a list of 10 consulting firms to use if needed for Hurricane Michael disaster recovery work. Each of the firms have a different specialty in disaster recovery and will be hired for work only when the situation calls for it. County officials say consultants can help recovery operations move more smoothly and ensure there are no hiccups in federal reimbursement for all the cleanup and rebuilding work. The Bay County Commission approved the list during its regular Tuesday meeting. 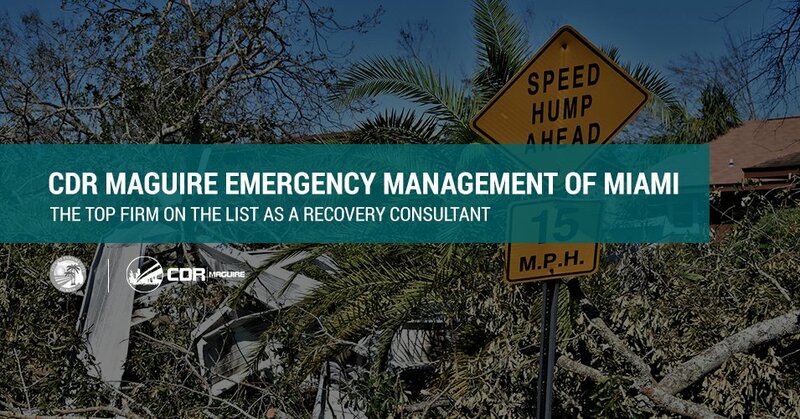 The top firm on the list is CDR Maguire Emergency Management of Miami, which the county has used as its recovery consultant since the hurricane hit on Oct. 10. The county plans to use CDR as its main consultant through the recovery and approved a long-term contract with the firm at its previous meeting. Valerie Sale, spokeswoman for the county, said after the meeting that while CDR would handle most of the recovery consulting work, there would be times other firms might be useful. “An example wherein we might use one of the consultants outlined today might be if one has specialized expertise in housing, such as using housing grant opportunities,” Sale said. Sale said the consultants also are all familiar with the Federal Emergency Management Agency (FEMA) and its policies regarding reimbursing government agencies for disaster recovery costs. “They have a working knowledge of eligibility requirements in order to maximize the county’s reimbursement,” Sale said. For example, FEMA implemented a new public assistance model this year that changed how documentation must be submitted to the agency, Sale said. “If documents are incorrectly submitted to FEMA, it can delay reimbursement ... and that’s where consultants can assist,” she said. Also during the meeting, the county agreed to transfer in $450,000 in federal RESTORE Act money to the city of Lynn Haven for amenity upgrades to Leslie Porter Wayside Park. The RESTORE Act helps pay for various public works projects with money from the Deepwater Horizon oil spill disaster settlement. For any cities to use RESTORE money, it must be signed off by the counties where they reside. “It’s good to see that this is moving forward,” Commissioner William Dozier said of the Porter project during the meeting. Jim Muller, RESTORE Act coordinator for the county, said the money would be used for upgrades like new pavilions, restrooms, parking lots and lighting. “Now the city will be doing invitations for bids for the project,” Muller said of Lynn Haven. The amenities will be just the latest improvements to the park. Lynn Haven broke ground last year on boat ramp improvements at the 13-acre recreational area along North Bay with help from a $200,000 grant. In 2015, the city repaired the site’s aging sea wall with vinyl siding and a concrete cap.